We look forward to each of you attending our 7th Annual Fundraiser. TEMAS is proud to continue supporting our youth through positive reinforcement of the values within the martial arts for the past 29 years. We are pleased to have the evening with catered appetizers, host bar, dinner and desserts prepared. 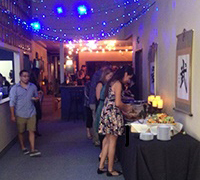 This special 6th Annual TEMAS Gala dinner and dessert bar is being catered by The Barrel Room of RB. We are thankful to Cafe Moto for donating their espresso cart for the evening. Many members, instructors, and parents have spent countless hours working toward the success of this event. We are thankful for the support, donations and awareness provided by our local business and community donations. Reserve your seat/s to RSVP Here on line or request your tickets at the Manna's front desk. Place an advertisement/ or notice in the Gala Event Program. Copyright © 2019 TEMASL. All Rights Reserved.